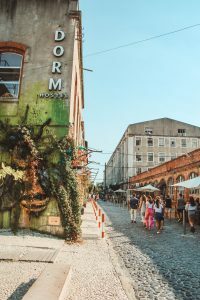 Well I’m back from my 10-day trip in Portugal and am excited to share all of my Lisbon activity recommendations with you! 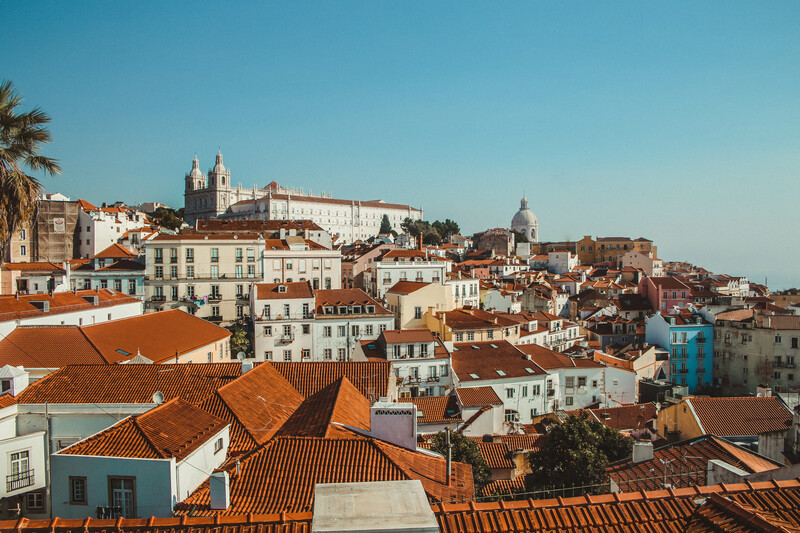 Whether you have an upcoming trip to Lisbon already planned, or you’re looking for suggestions on where to head on your next vacation, these recommendations are a great way to get an idea of all that this gorgeous city has to offer. 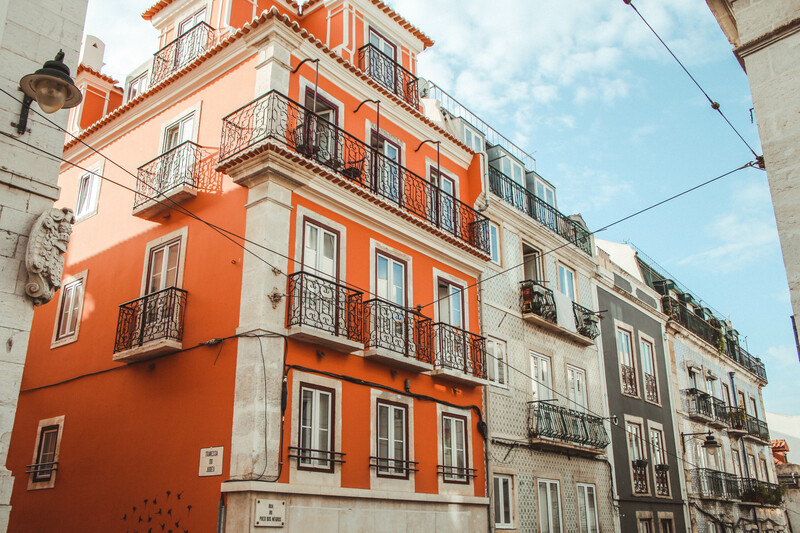 Walk the streets – There’s no better way to explore this gorgeous city than by simply just walking the streets; we spent hours and hours getting lost in alleyways, stumbling upon some hidden gems off the beaten path. Not only are the buildings themselves a sight to see with all of the tiles and the colors, but there are so many interesting shops, restaurants, bars and cafes to stop in along the way. 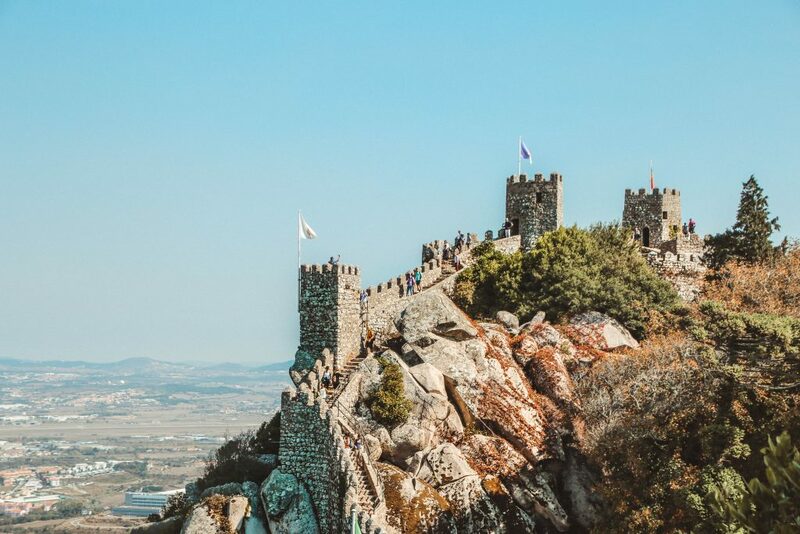 No matter which part of the city you’re in, there’s always something new to see but don’t forget your comfortable walking shoes – the hills in Lisbon are no joke! 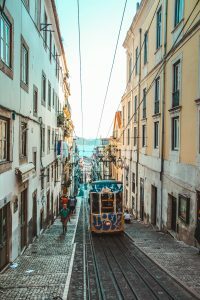 Take the 28 tram – If you’ve been researching things to do in Lisbon, you’ve probably come across this suggestion a hundred times but I promise it’s worth it. This thing puts the NYC MTA subway to shame and is truly a great way to see the city without giving yourself a workout. 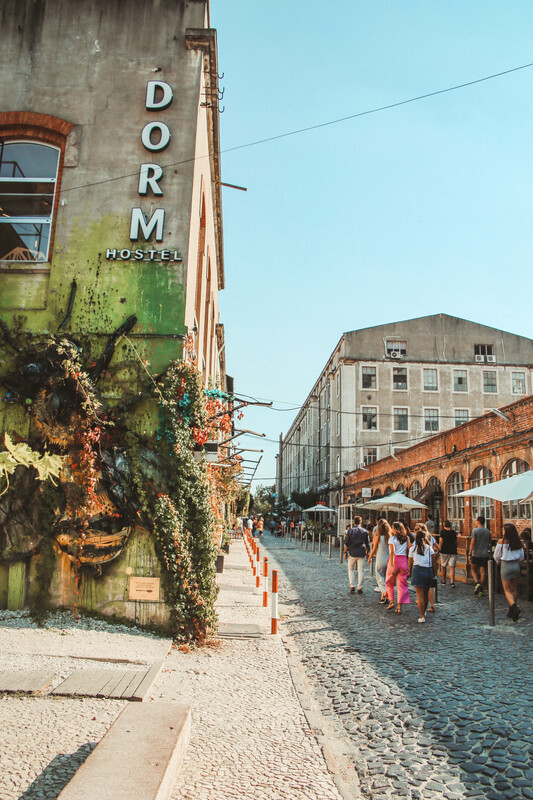 Stop by the LX Factory – While this wasn’t our favorite activity on the trip, which could have been due to the fact that it was our first day there and we were suffering from some major jet lag, it’s definitely worth seeing if you have a free afternoon. Very similar to an outdoor version of NYC’s Chelsea Market, this open space is full of shops, restaurants and bars and is pretty bustling on the weekends with both tourists and locals. I’d recommend taking the train there as it’s quite a walk from the center of the city. 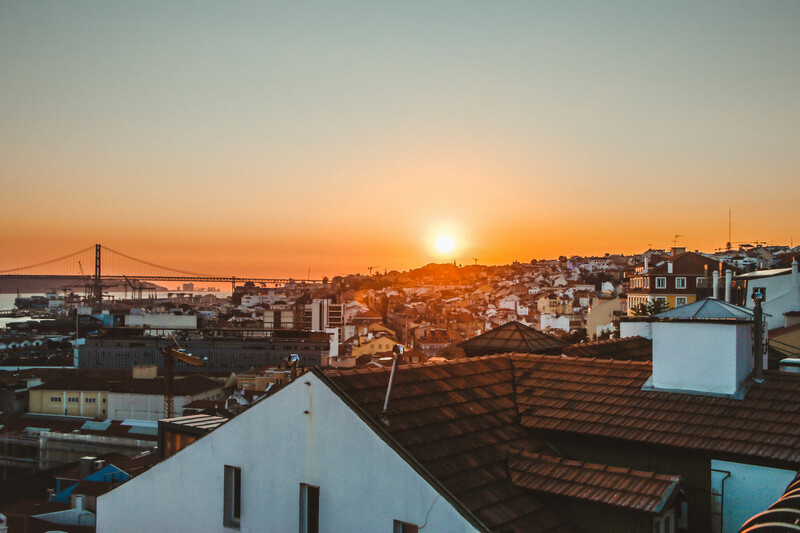 Visit the Alfama District – One of the oldest areas of Lisbon and easily accessible via the 28 tram, this area is full of history and has some of the best lookout points (aka as “miradouros” in Portuguese). We spent at least half of the day here walking the streets and exploring churches along the way and didn’t run out of things to see. Watch the Sunset at Miradouro de Santa Catarina – We stumbled upon this spot while looking for a restaurant in the area and couldn’t resist grabbing a beer and sitting with everyone (locals & tourists), listening to live music and watching the sunset. It was such a great experience to sip on some beer and watch the sunset with the clay rooftops of the city in the background. Try the Local Cuisine – One of the best things about experiencing new places and cultures is trying out the local cuisine. In Lisbon you’ll be eating a lot of fish (specifically cod) both fried and grilled and meat lathered in some of the best cream sauces you’ve ever had. Stay tuned for a larger post on my specific restaurant recommendations! 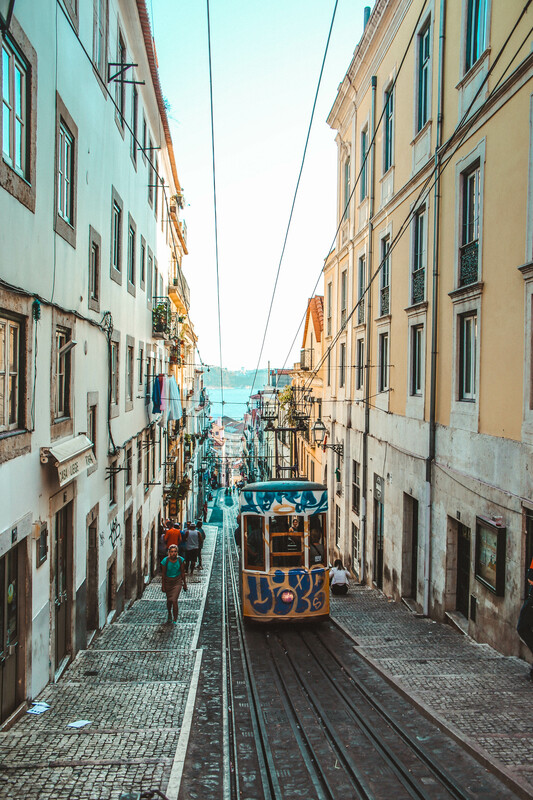 Take a Day Trip – One of the great things about Lisbon is their public transportation, which made it easy for us to explore other sights and beach destinations outside of the city. 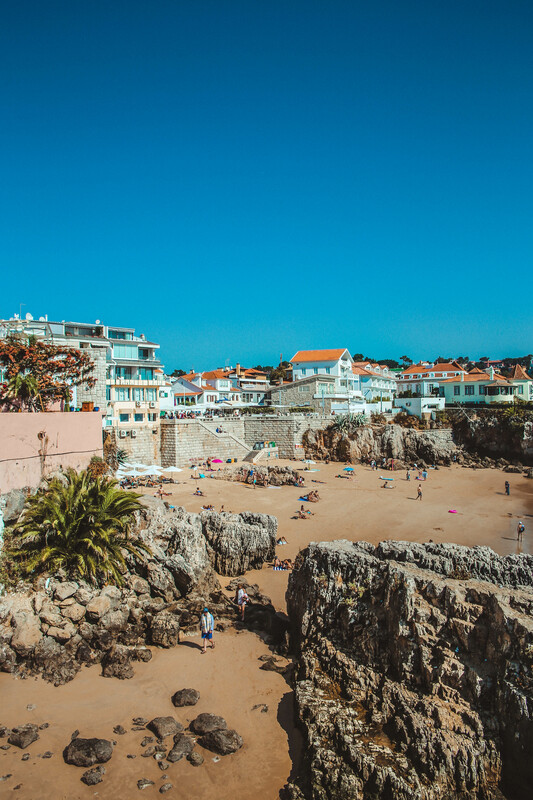 I’ll be doing individual blog posts on these spots, but we chose to visit the beach towns of Cascais and Estoril, as well as the town of Sintra, all of which are under an hour train ride from the city. 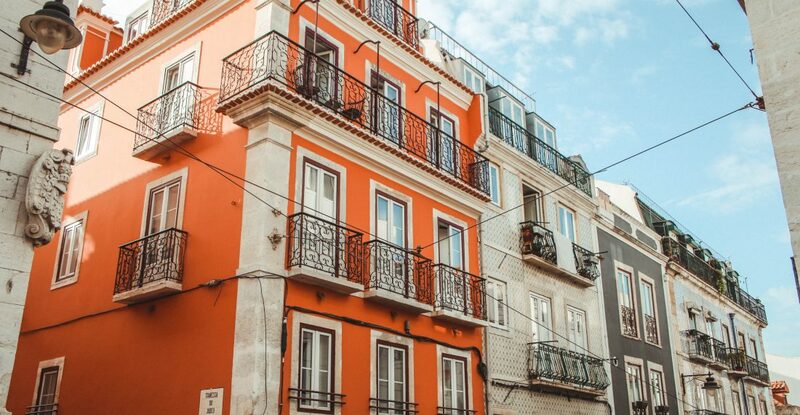 Shop Around in Chiado – If you’re looking to stock up on some unique finds from your favorite European brands, this is the place to do it. There’s a great mix of women’s fashion shops like Bershka and Stradivarius, as well as unique souvenir and book shops. I recommend Bertrand Books & Music for classic Portuguese cook books and A Vida Portuguesa for unique souvenirs. Grab a Drink (or two) in Barrio Alto – This part of the city really comes alive at night. 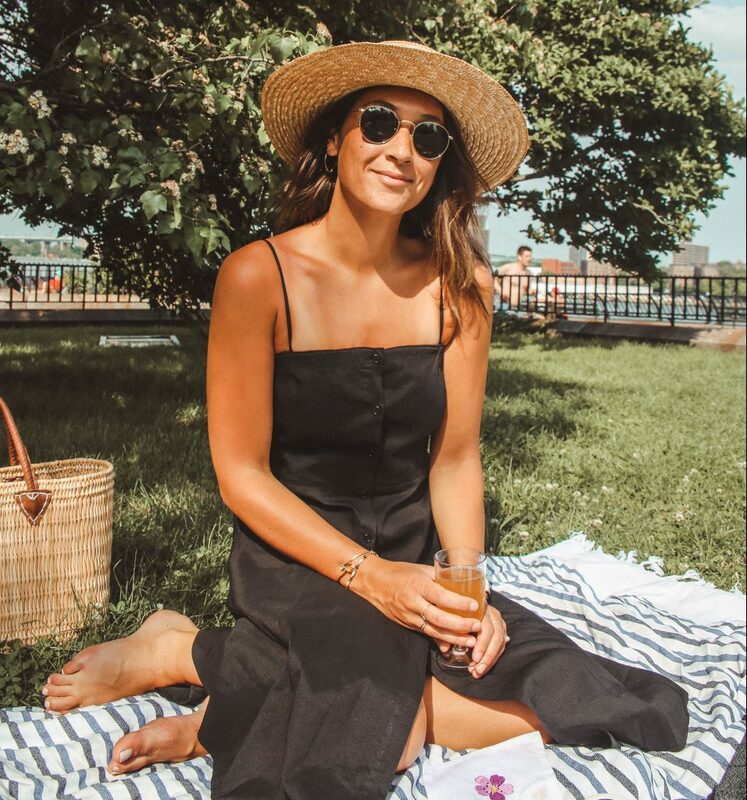 Whether you’re looking for a full sit down dinner, or just want to relax and enjoy a bottle of wine, you’re able to find a spot for either in this part of the city. You can even grab a drink at one bar and leave with it to walk around and find the next because drinking in the streets is acceptable in this area. Just a heads up – it does get pretty crowded around here on the weekends so there may be a wait for the more popular spots. Munch on Egg Pastries at Manteigaria – Egg tarts are a traditional Portuguese pastry and due to popularity, these shops have practically become landmarks in the city and rightfully so, as the pastries themselves are pretty damn good! Feel free leave any questions that you may have regarding the city in the comments below – always happy to help!